Lucky for you, deer love clover. Even luckier is that Game Changer Clover Mix is easy to plant and grow. 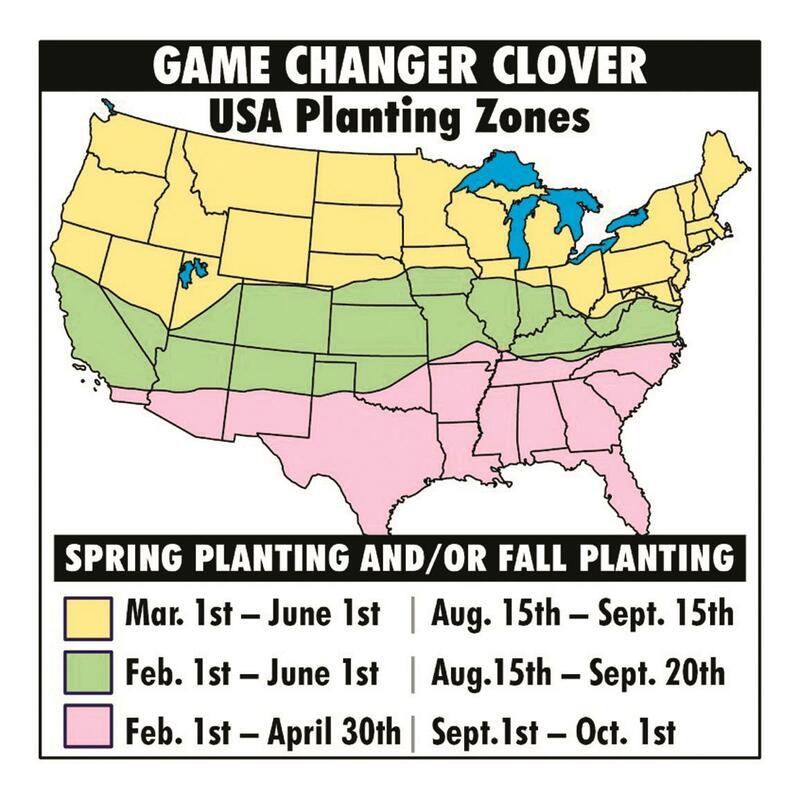 Game Changer Clover can easily be planted without the use of equipment in the Spring or Fall and is a great mix for over seeding or frost seeding into an area in the Spring. 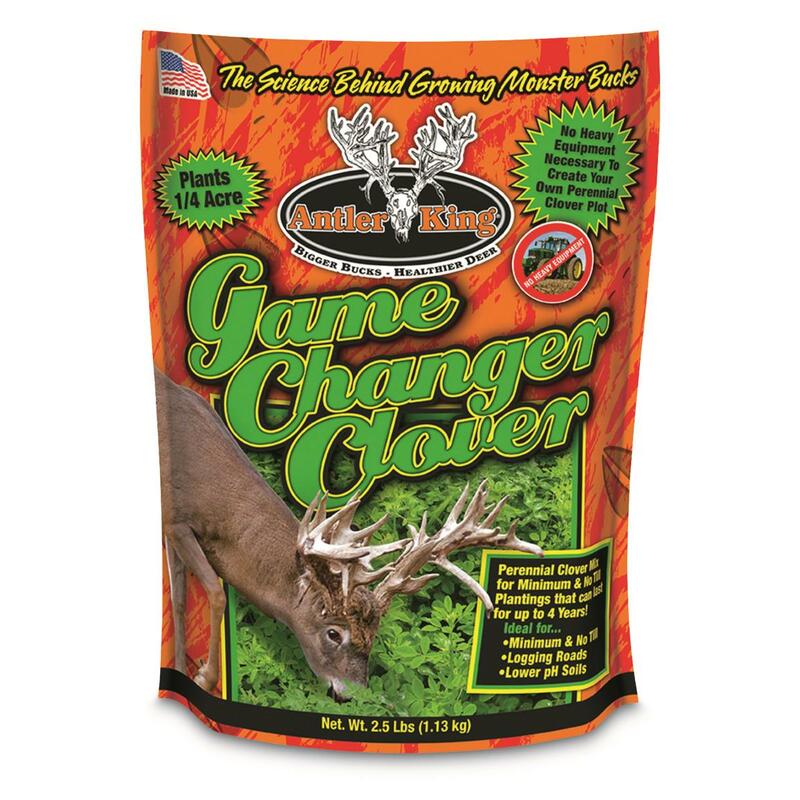 Game Changer Clover Mix was designed with no till scenarios in mind and is comprised of 4 special varieties of clover and a variety of brassica. 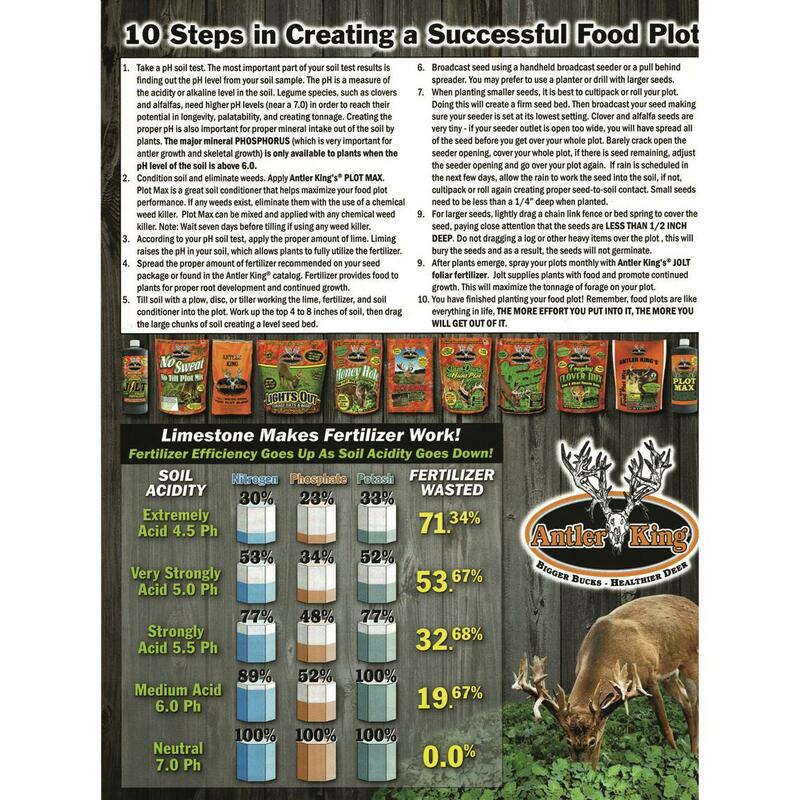 This ideal mix for deer and turkey can last from 3 to 4 years because it tolerates dry conditions and provides great yields - as much as 3-6 tons of high quality forage per acre per year depending on soil conditions - so it is not a threat to over-grazing. 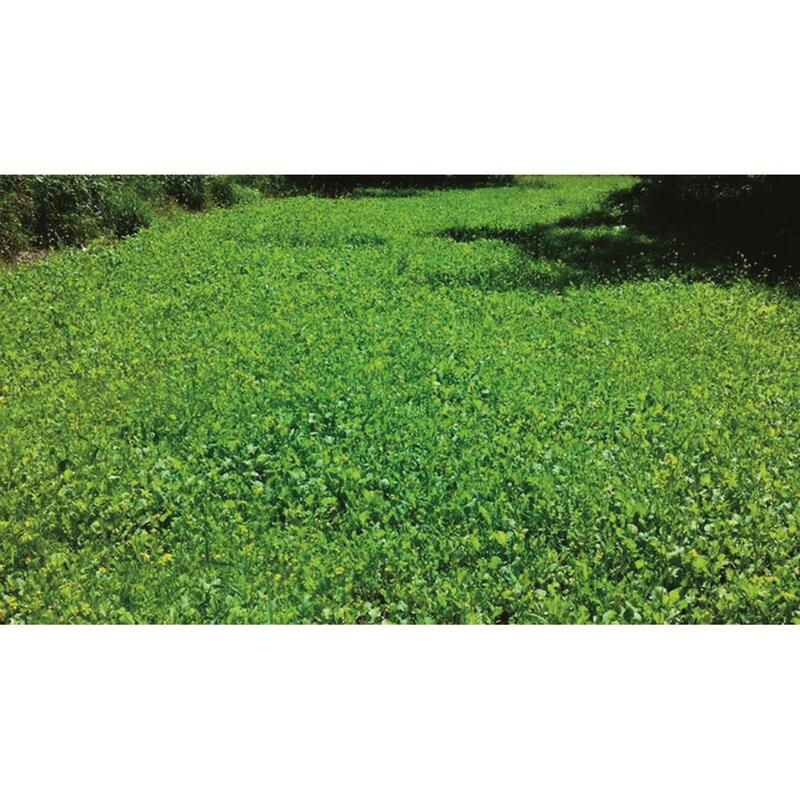 As a minimum or no till perennial food plot mix clover is very easy to establish, tolerant to soil acidity, sandy soil and grows in lower pH soils (4.8-7.0) in the North and South. It is the ideal mix for logging roads, power lines, shady areas and other hard to get to areas back in the woods. 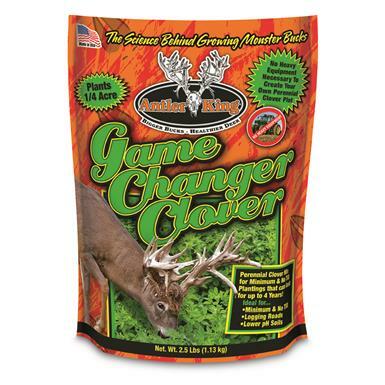 Antler King Game Changer Clover Mix, 2.5-lb. Bag is rated 5.0 out of 5 by 1. 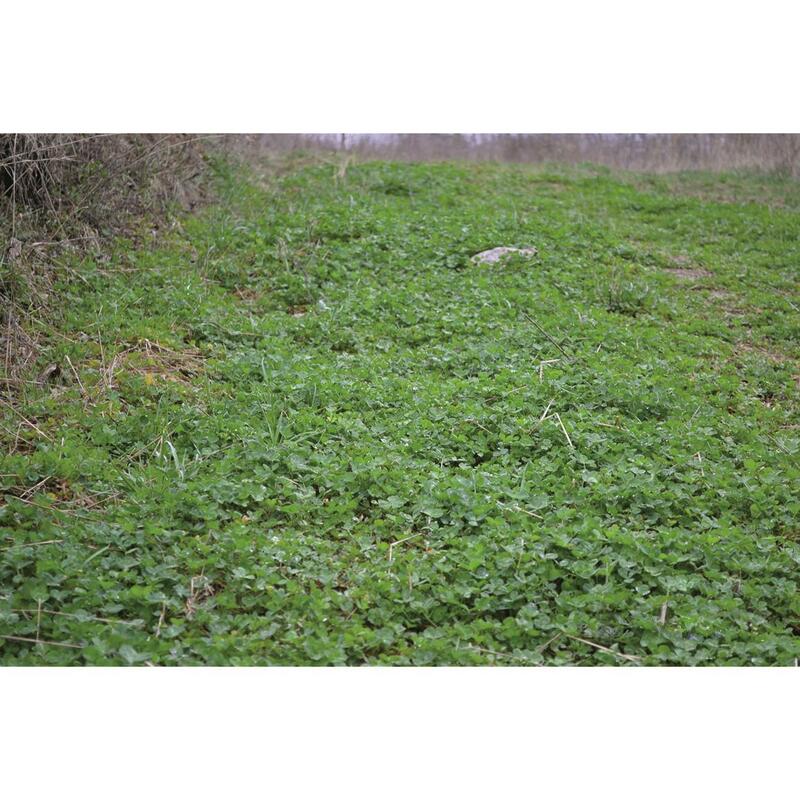 Rated 5 out of 5 by NJtrapperman from Awesome seed This is my good to clover on my back 30. The deer absolutely love it. It grows fast and stays green.